 Chabad hosts an array of weekly social and educational programs for students. From our popular Cafe Chabad and ChaBBQs to Sinai Scholars and personal study sessions, you will find something at Chabad that is just right for you! Visit our Facebook page for regular updates and event details Facebook.com/JewishOwls.